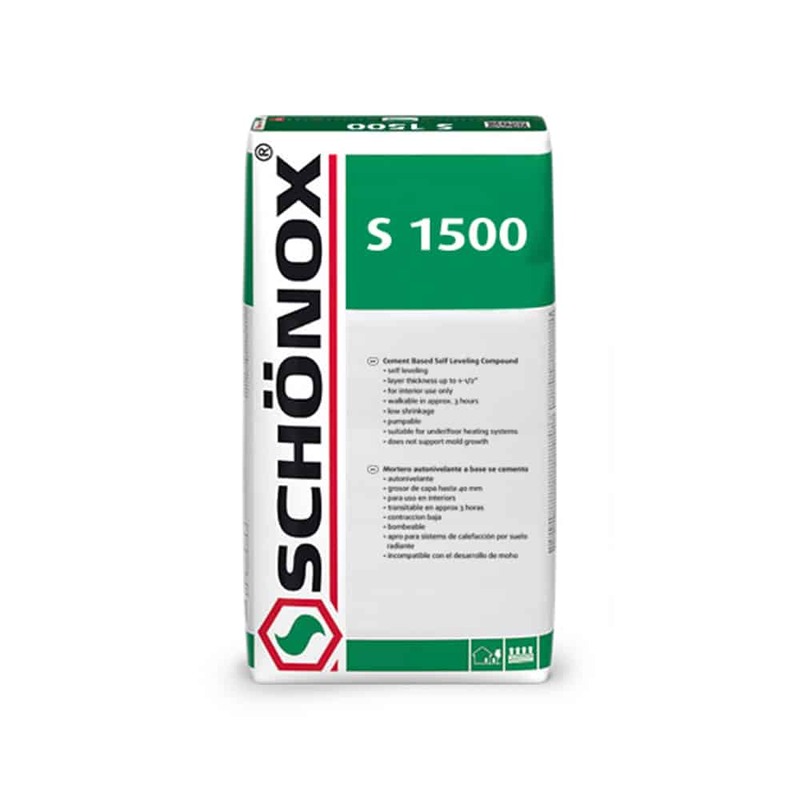 Schönox S1500 - HPS North America, Inc.
Cement Based Self-Leveling Compound Suitable on all cement and gypsum substrates. May be installed in depth ranging from 1/8″ to 1 1/2″ with minimal shrinkage. For interior use only. Ready for covering after approximately 4-24 hours.